Day 6 – Bar Bar Black Sheep, have you any space? It’s been a long week on the bikes, with non-stop activities and late dinners. 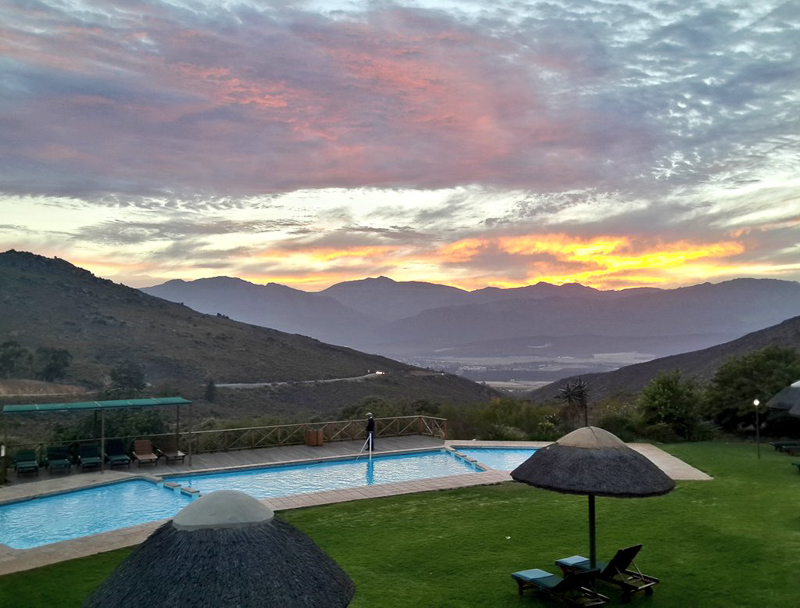 Last night was no exception and as we left the table on the way to our enticing beds, we all agreed to convene at the heated indoor pool at Piekenierskloof at 7am the next morning. My duvet is stronger than it looks. I wasn’t expecting a wrestling match when I set my alarm, but as it flared into life early the next morning, that’s exactly what I got! I put up a spirited fight, it must be said, but to no avail and in the end I found myself pinned into submission and only made it to the breakfast table at 8am. Turns out I wasn’t the only one who had missed the poolside appointment as I found only the very diligent Rory at the table. He had not only swum at the allotted time, on his own, but had also managed to snap a sensational picture of the sunrise over the valley.